If you love the performance and looks of a premium roadster, but think anything above $40,000 is asking too much, you'll love the 332 horsepower, rear-wheel-drive Nissan 370Z Roadster. I love the car. The red really pops. The car is low to the grown and if you are looking for a sports car that handles well this is the way to go! The maintenance is very expensive. I love the sporty look of my car and it is fast. I dislike that I can only use premium gas and the tires are super expensive. No complaints. I love my Nissan and here's why, I have been driving with it for a couple of years now and it never broke down. 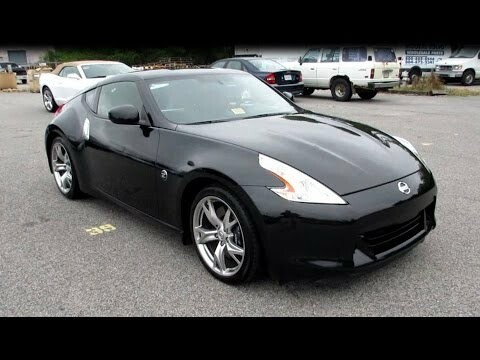 NISSAN IS RECALLING CERTAIN MODEL YEAR 2011 AND 2012 INFINITI G37 COUPE VEHICLES AND CERTAIN MODEL YEAR 2011 NISSAN 370Z VEHICLES MANUFACTURED FROM JULY 2, 2011, THROUGH AUGUST 29, 2011. DUE TO A PROGRAMMING ERROR, THE POWER WINDOW SWITCH CONTROLLER IN THE SUBJECT VEHICLES WAS MANUFACTURED OUT OF SPECIFICATION. THE AUTO-REVERSE FEATURE OF THE POWER WINDOWS DOES OPERATE. HOWEVER, SHOULD A BODY PART BECOME TRAPPED BY A CLOSING WINDOW, A PINCH INJURY MAY RESULT BEFORE THE WINDOW REVERSES. NISSAN WILL NOTIFY OWNERS, AND DEALERS WILL REPLACE THE POWER WINDOW SWITCHES WITH NEW ONES FREE OF CHARGE. THE SAFETY RECALL IS EXPECTED TO BEGIN ON OR ABOUT NOVEMBER 28, 2011. OWNERS MAY CONTACT NISSAN AT 1800-647-7261 OR INFINITI AT 1-800-662-6200.